I'm having some fun today with book covers. I know...writers don't get to choose how their books look (unless you publish your book electronically, of course), but I had a few ideas I wanted to try and found some Creative Commons images to play with. Below, you'll find three slates of designs I worked on for my superhero book I, Crimsonstreak this afternoon. I think (most) of these are a major step up from previous versions of I, Crimsonstreak covers. The biggest issue I found is "Crimsonstreak" is too long of a word. The letter "I" in the title also makes for some layout nightmares. 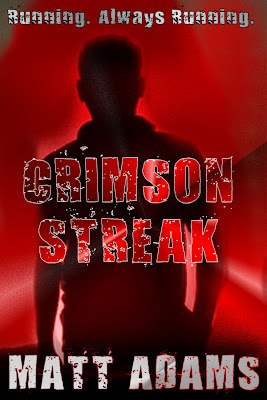 To combat this, I shortened the title to simply Crimsonstreak and broke the word up into two parts. I also developed a healthy obsession with "distressed fonts" during this process. The distressed fonts do a couple of different things: in some of the covers, they provide a sense of foreboding. In others, they give a sense of movement. Additional notes are under the cover slates. The first style here is a very old "CS" logo I developed several years ago for the character. I have at least ten variations of that logo, but the one with the lightning design happens to be my favorite. The biggest problem with this one is that the original logo is low-resolution and doesn't look very good enlarged. The second design sort of looks like a person running out of some kind of building. If you look closely, you'll notice the lockers on either side indicating that this is a school. 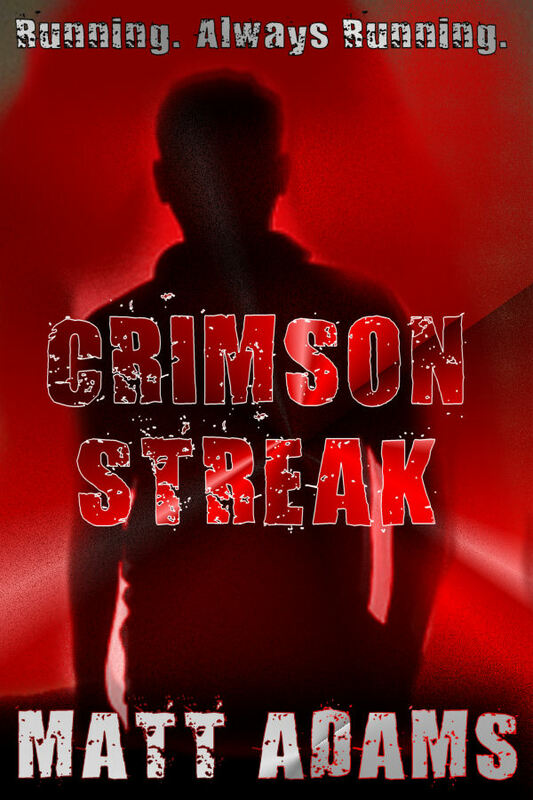 This design gives the book a creepy vibe...almost as if Crimsonstreak is a horror novel. It isn't. The third design I made simply because it's a guy running up the side of a building. I airbrushed him red and made a hasty reflection in the glass to match. Enlarged, that design doesn't stand up to scrutiny, but I do like the concept. This is the only design to use all lowercase letters. I found a great, great superhero stock image via a Creative Commons search. I didn't want to use the face--the hero is a little too old for my protagonist. In addition, I positioned the picture so you can't really tell the character is wearing a cape. It's certainly there if you look for it...but you could also argue it's simply black accent coloring for the character. The first design here is relatively clean with a distressed font. It feels like it's missing something. The second is a repositioning of the same image with the chest shield altered to look like the character is wearing a "CS" logo. It also includes the phrase, "Running. Always Running," which is a recurring theme in the book. The third pic is a variation of the other two. Actually, it's almost exactly like the first one except for the logo on the character's arm. That's the "seal" of the New World Common Wealth, the authoritarian regime controlling the world of the book's setting. For one reason or another, I'm fond of the image on the left in this pairing. It's simply a person's silhouette (again, a Creative Commons picture is the source) altered slightly and placed over a red backdrop. This is easy to read and the "Running. Always Running" phrase fits nicely at the top. The final design in this pairing features the New World Common Wealth logo and some flames. The phrase "Enemies of the Common Wealth must die" appears a few times in the text. This design seems more foreboding than most of the others, signaling the book may have some dark undertones. This has a similar problem to the "CS" logo...the image doesn't quite have the resolution to pull this off without becoming a bit blurry. So anyway...those are a few ideas I came up with this weekend. Don't know why...but I'm fond of this one.